Legislative and Political Advocacy is a key aspect of membership in KNEA. KNEA maintains an active lobby team to assess legislative activity, create action plans, and work with Kansas’ elected officials to promote public education at every level. 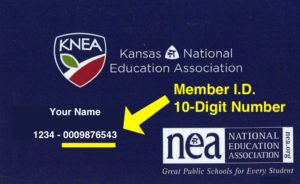 No KNEA member dues dollars are used for express candidate advocacy. KNEA maintains the KNEA Political Action Committee or KPAC which is funded solely through voluntary contribution. KNEA is a non-partisan organization and supports only local and state-level candidates who have earned recommended status through a member-driven interview process.